There's a number of resources to help you get started. We've included some our our favorites below. Veganuary is dedicated to changing public attitudes, while providing all the information and practical support required to make the transition to veganism as easy and enjoyable as possible. Veganuary has had an incredible degree of success in a very short time and is changing lives all over the world. Find out more at veganuary.com! Meatless Monday is a global movement with a simple message: one day a week, cut the meat. They provide information, news, recipes and free promotional materials to help individuals, schools, restaurants, hospitals, food companies and entire communities to start each week with a commitment to eating healthy, environmentally-friendly, meat-free meals. Find out more at meatlessmonday.com! Vegan.com exists to provide useful and reliable information about all aspects of plant-based eating—information that’s hard to find elsewhere. 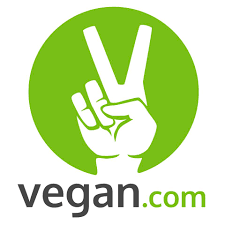 This site exists to help you find whatever information you need that relates to vegan lifestyles, and if you’re presently eating meat, milk, or eggs you’re especially welcome here. Find out more at vegan.com!